Antirobe Aquadrops is used for curing skin, dental and bone infections. Apart from these, the medicine is also found effective in the management of abscesses, bite wounds and respiratory infections in cats as well as dogs. 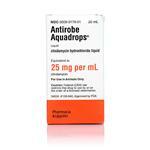 Antirobe Aquadrops is available by prescription in oral dose solution. 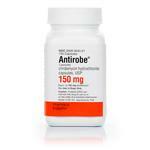 When administered, antirobe works with white blood cells in the body of the animal and facilitates quick and effective relief from the infection. This is also an effective remedy to treat specific pus-filled, infection-causing wounds in pets. 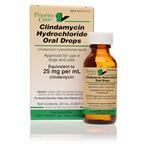 The drug should not be given to animals that are prone to hypersensitivity caused by lincomycin, and in dogs and cats with kidney or liver troubles. Care must be taken while providing the medication to breeding animals. While on medication, there is a possibility for certain animals to develop kidney or liver dysfunctions; conducting periodic tests is important to check for abnormalities. Strictly follow the instructions of the veterinarian in case the medication has to be continued for a prolonged period. 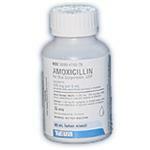 Though the medicine is approved for use in dogs alone, the same is widely being used on cats as well by veterinarians. However, the usual prescribed dosage for dogs is 2.5-5mg/pound once in every 12 hours, and for cats, a slightly higher proportion is administered; 5-10mg/pounds once daily. The medication could be given with or without food, or as prescribed by the veterinarian. Antirobe Aquadrops is an antibiotic and it can produce side effects that any other antibiotic would, like loss of appetite, vomiting, anorexia, diarrhea etc. 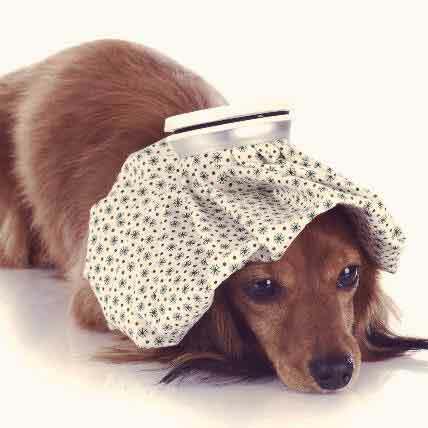 There are a number of different health conditions that can affect dogs. 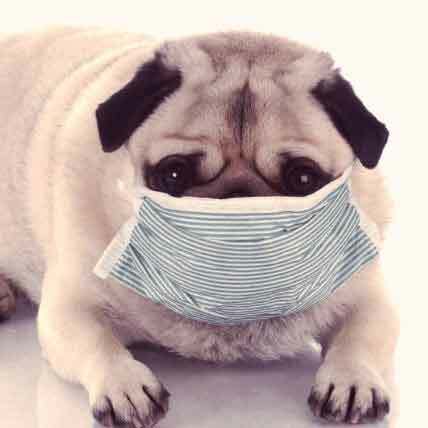 Here's an extensive list of all the major dog diseases and symptoms. We are often quite conscious of the various side effects of the medications we take, but have you ever considered the side effects of your pet prescriptions? If your cat or dog is taking anything, it is a good idea to know about any secondary effects. Here are some of the most commonly taken pet prescription medications, and a list of their side effects. 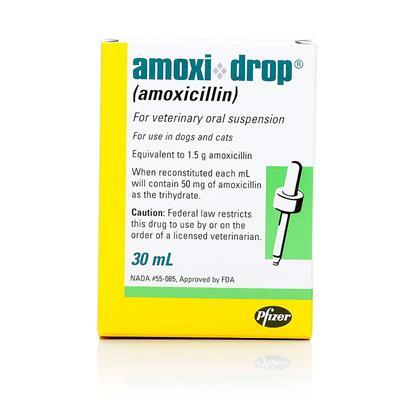 Amoxi Drops(Amoxicillin), generic to Trimox, is an easy to administer oral penicillin for dogs and cats that is used to treat a wide range of diseases and bacterial infections. 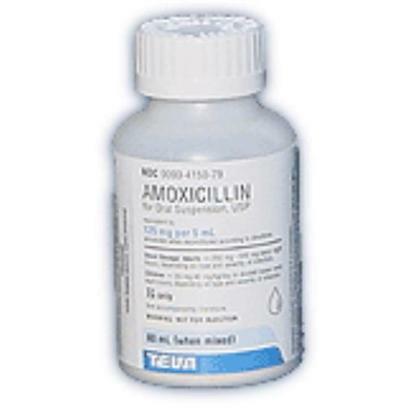 Amoxicillin Oral Suspension, generic to Trimox, is an easy to absorb, penicillin based, broad spectrum antibiotic used to treat various bacterial infections in dogs and cats.